Product prices and availability are accurate as of 2019-04-18 19:05:25 UTC and are subject to change. Any price and availability information displayed on http://www.amazon.co.uk/ at the time of purchase will apply to the purchase of this product. Ever since the late-eighteenth century visitors have delighted in the Lakeland landscape. What were formerly reported to be terrifying heights became things of adoration. Lots of books have been published, with wonderful prose description, along with marvellous illustration of many different types. 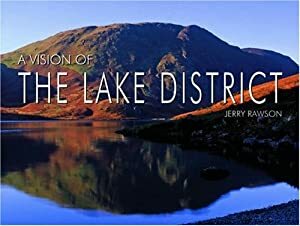 A Vision of the Lake District, by Jerry Rawson is another welcome addition to this list of volumes covering many facets of the Lake District Landscape. 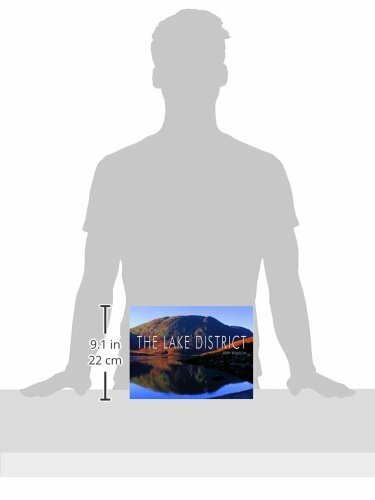 The Lake District National Park is an area of outstanding beauty and perfection of scale. It contains rugged fells, dales, lakes, tarns and wooded valleys which combine to create spectacular and tightly packed mountain scenery. Seen through the seasons the area offers an unending variety of interest especially for painters and photographers. After the critically acclaimed success of his book of walks, Discover the Lake District (Halsgrove), Jerry Rawson has now turned his attention to creating a collection of panoramic images of the area throughout all seasons. From the golden autumnal colours of the woods around DerwentWater, the rugged ice-carved combes of Helvellyn to the majestic Scafell range looking quite magnificent when reflected inWastWater and illuminated by the setting sun. He has captured brooding skies, storms sweeping across the fells and the low light of dawn and dusk illuminating the landscape in a golden glow. 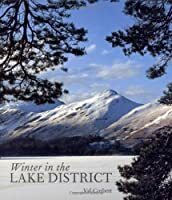 This beautifully-produced book, copiously illustrated with over 70 of Jerry's evocative photographs, is an emotional response to the landscape and It gives an exciting dimension to the Lake District. Every image conveys the passion and excitement he feels for the area. The book captures the variety and glorious scenery in one of Britain's favourite areas. Jerry Rawson has a strong affinity for Lakeland and regularly produces illustrated articles for Lakeland Walker and Cumbria magazines. His photographic work has featured in calendars, cards, advertising materials, numerous magazines and books. Jerry's published and acclaimed photographic books include Peak District Moods and Portrait of Snowdonia. Halsgrove will also be publishing his photographic books Portrait of Glencoe, Ben Nevis and Fort William and A Vision of the Lake District. His other best selling books include Discovering the Moors and Dales of the Peak District, Discover the Yorkshire Dales and Discover the Lake District also for Halsgrove. The beautiful landscape is substantially determined by its underlying geology hence you'll find here publications on this topic. Then there is the impact of human settlement, from prehistoric megaliths to more recent houses and forestry, small towns, hamlets and villages, with the lanes and tracks between them. A Vision of the Lake District by Jerry Rawson is one of many titles in this category. 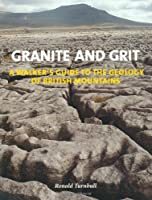 We trust that you enjoy it and will also browse through the many other books that we have listed under Lakeland Landscape.